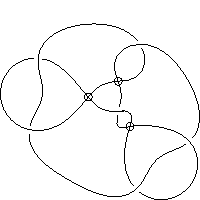 Starting from labelled peer codes representing distinct link immersions with one component we may label the immersion crossings as classical (positive or negative) or welded in all possible combinations to obtain labelled peer codes for a complete set of welded knots. 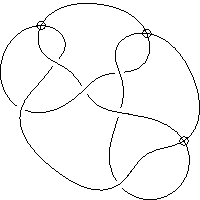 Fixed-point invariants may then be used to identify distinct, non-trivial, prime welded knots. 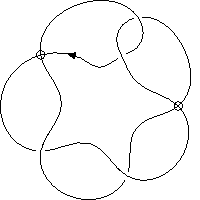 Here we present the results of such a search based on link immersions involving up to nine crossings. 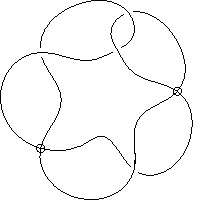 The welded knots were distinguished by comparing the fixed point invariants determined by the 57 essential welded pairs of order less than or equal to 6 presented on the page finite biquandles. The fixed point invariants were calculate using the braid programme. 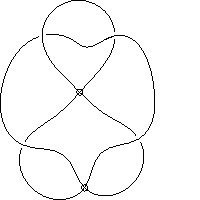 We have determined the welded knots described below. 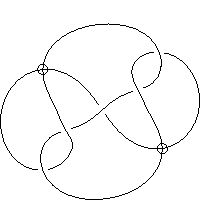 The following pages present the labelled peer codes and braid words for each distinct welded knot. Below we present diagrams of the above welded knots. 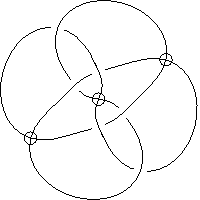 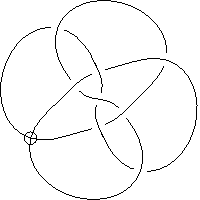 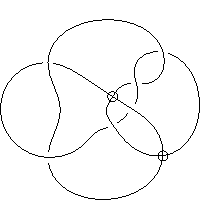 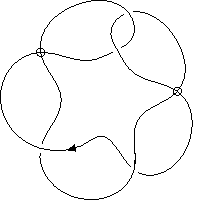 The first four welded knots with four crossings are shown with an orientation, since these knots are distinct from their orientation reverse. The search algorithm used by the programme vlist sequentially considers all immersions with n crossings and assigns labels to those immersions in all possible combinations. The resultant candidates are then checked to see if they are equivalent to an immersion with fewer crossings (by a Reidemeister I or II move) and the fixed point invariants only calculated for the remaining viable candidates. 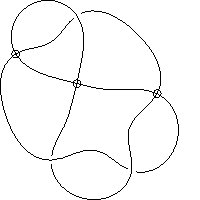 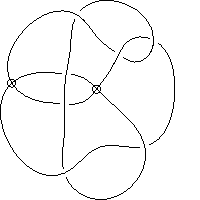 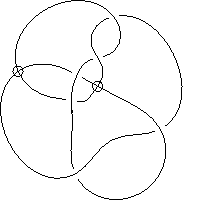 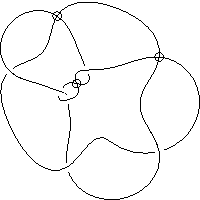 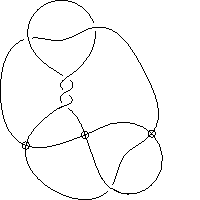 One consequence of this approach is that having distinguished a set of welded knots with k crosings from immersions with n crossings, one cannot discount the possibility of finding another distinct knot with k crossings from an immersion having m > n crossings. 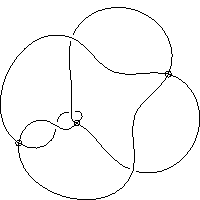 A. Bartholomew and R. Fenn. 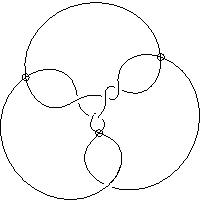 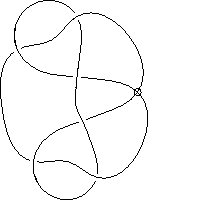 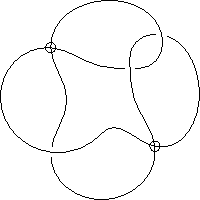 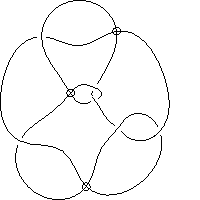 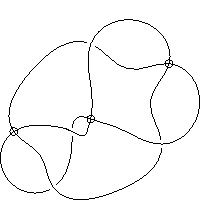 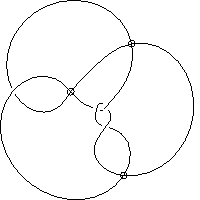 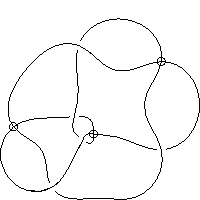 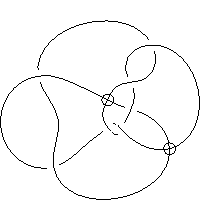 Biquandles and Welded Knot Invariants of Small Size (arXiv:1001.5127v1). 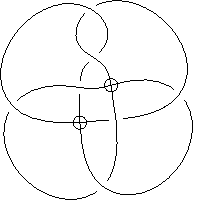 A. Bartholomew and R. Fenn. 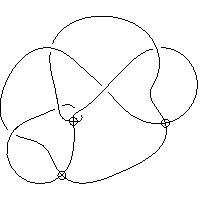 Biquandles of Small Size and some Invariants of Virtual and Welded Knots Corrigendum (to appear).